Digital irrigation controller, which is configured to control the water on the outlet port. This electronic controller waters the garden or the pots automatically by a prer-set program. You can set the device to spray in the morning or at night, the operation continues while you are away. 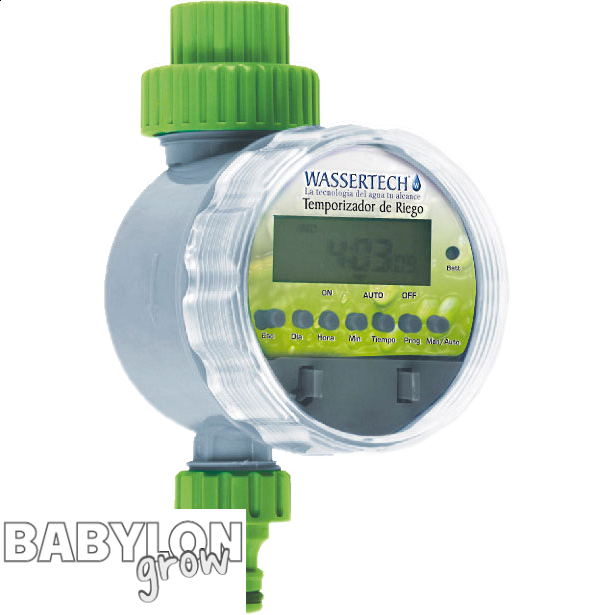 Te device has two flexible methods to control the irrigation: manual and automatic. Powered by two AAA battery.